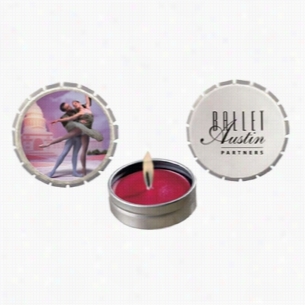 Snap Top Tin Candle.A great travel candle.Clean burning all natural soy wax candle with aromatherapy scent and color.Includes 1 to 4 color process laminated decal or one color direct imprint.Choose color and fragrance.Lead free wick.Eco friendly and biodegradable wax. 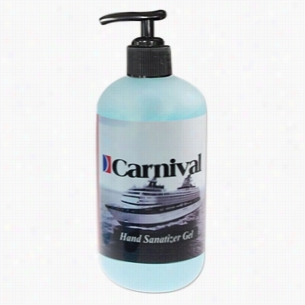 Belgium Designer Dispensers Hand Sanitizer 16 oz. Hand sanitizer Gel in a designer 16oz bottle with pump. Subtle fresh scent, not an overpowering fragrance. Gel dries quick, clean and smooth, protecting your hands. 65% alcohol to kill germs on contact. FDA Approved and Hypoallergenic. Belgium Designer 4 oz Pump Gel. Hand sanitizer gel in a designer 4oz bottle with a Serum pump. Subtle fresh scent, not an overpowering fragrance. Gel dries quick, clean and smooth, protecting your hands. 65% alcohol to kill germs on contact. FDA Approved and Hypoallergenic. Belgium Designer Dispensers Hand Sanitizer 8 oz. Hand sanitizer gel in a designer 8oz bottle with pump. Subtle fresh scent, not an overpowering fragrance. Gel dries quick, clean and smooth, protecting your hands. 65% alcohol to kill germs on contact. FDA Approved and Hypoallergenic. 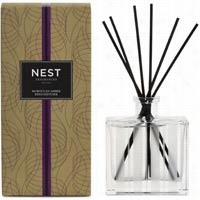 NEST Fragrances Reed Diffuser Bamboo 5.9 oz. Carefully crafted with the highest quality fragrance oils, NEST Reed Diffusers are designed to continuously fill your home with a lush, memorable fragrance. The alcohol-free formula releases fragrance slowly and evenly into the air for approximately 90 days.Flowering bamboo is mingled with a variety of white florals, sparkling citrus and fresh green accords. 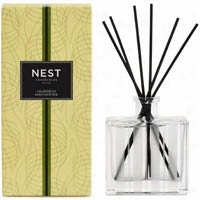 NEST Fragrances Reed Diffuser Grapefruit 5.9 oz. Carefully crafted with the highest quality fragrance oils, NEST Reed Diffusers are designed to continuously fill your home with a lush, memorable fragrance. The alcohol-free formula releases fragrance slowly and evenly into the air for approximately 90 days.Pink pomelo grapefruit and watery nuances are blended with lily of the valley and coriander blossom. NEST Fragrances Reed Diffuser Moroccan Amber 5.9 oz. Carefully crafted with the highest quality fragrance oils, NEST Reed Diffusers are designed to continuously fill your home with a lush, memorable fragrance. The alcohol-free formula releases fragrance slowly and evenly into the air for approximately 90 days.Moroccan amber, sweet patchouli, heliotrop and bergamot are accented with a hint of eucalyptus. 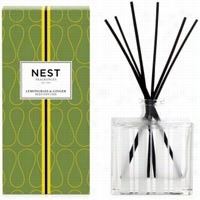 NEST Fragrances Reed Diffuser Lemongrass and Ginger 5.9 oz. Carefully crafted with the highest quality fragrance oils, NEST Reed Diffusers are designed to continuously fill your home with a lush, memorable fragrance. The alcohol-free formula releases fragrance slowly and evenly into the air for approximately 90 days. Lemongrass and ginger are combined with an herbal infusion of eucalyptus, thyme and sage. 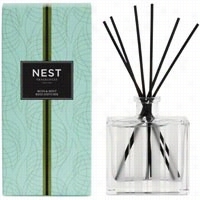 NEST Fragrances Reed Diffuser Moss and Mint 5.9 oz. Carefully crafted with the highest quality fragrance oils, NEST Reed Diffusers are designed to continuously fill your home with a lush, memorable fragrance. The alcohol-free formula releases fragrance slowly and evenly into the air for approximately 90 days.Garden mint, Apple blossom and muguet are infused with a touch of oakmoss and vetiver. NEST Fragrances Reed Diffuser Wasabi Pear 5.9 oz. Carefully crafted with the highest quality fragrance oils, NEST Reed Diffusers are designed to continuously fill your home with a lush, memorable fragrance. The alcohol-free formula releases fragrance slowly and evenly into the air for approximately 90 days.Anjou Pear and fresh, ozonic watery notes are infused with the essence of wasabi.